Il mio condominio Ft Myers Beach in Florida, è direttamente sul Golfo del Messico con un quarto piano vista mozzafiato di tramonti ogni sera. Molto vicino a ristoranti, negozi, alimentari, e il meglio della Florida ha da offrire dalla pesca al para-sailing. Un'alta velocità Key West Catamarano si trova a cinque minuti di distanza, e un carrello isola si ferma di fronte a prendere in giro. Chiese e molo di pesca si trovano nelle vicinanze anche. 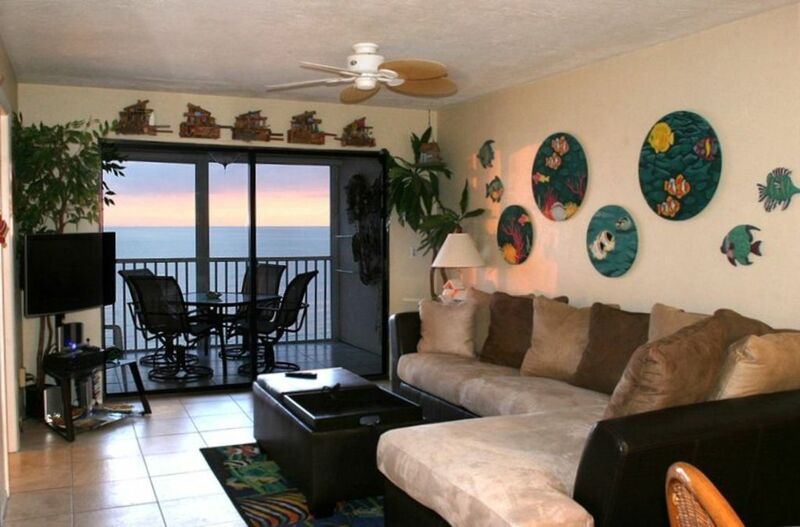 NOMINALE # 1 CONDO di Fort Myers Beach dal 1999! Completamente sua volta arredato chiave completamente ristrutturato da cima a fondo, basta portare i vestiti. Piscina riscaldata, quattro griglie per barbecue a gas, shuffleboard e completo servizio lavanderia. Il condominio comprende tre ventilatori a soffitto, aria condizionata centrale, patio schermato proprio sul Golfo, cabina armadio walk-in, tre NUOVI TV LCD digitali (NUOVO 50in. TV HD in salotto), 2 DVD e BLUERAY con Netflix, sistema IPOD stereo / CD, sistema di videogiochi con 70 giochi, telefono cordless, tutte le lenzuola e una cucina completamente rinnovata completamente attrezzata con contatori di granito. Portate i vostri Coppe K perché ho appena aggiunto un Keurig caffè, C'è una macchina a goccia 12 tazza come bene e smerigliatrice per i vostri fagioli. bagni recente ristrutturato, completamente piastrellato pavimento al soffitto. Asciugacapelli in entrambi i bagni. We really enjoyed our stay at Smugglers Cove and the chance to get away from a Minnesota winter. The location was perfect for stepping out the door and walking the beach or getting a lawn chair to sit on the private grass facing the water. We loved our Happy Hour sunsets on the lanai and tended to stay in for dinner since getting groceries from Publix was so convenient. My only issue was the pots and pans and other cooking utensils should be replaced and added to. But the Kreig coffee maker was great! The location of this condo is perfect - so near the beach and with the screens on the patio and windows and door, we could listen to the surf all night long! It was also nice to have beach chairs and beach towels available to use. Master bed is very comfortable. Pool was heated. Quiet location was a plus compared to the north by all the restaurants, etc. It's one of the best "walking beaches" we've been on. The only problem was they were having difficulty with the elevator our week. We were able to walk the steps but I'm guessing that wasn't true for some of the elderly. All in all it was a great week. The condo was just the right size and fully equipped with everything we needed. The bed was very comfortable which is very unusual in rentals. The view of the gulf is fantastic and we saw dolphins every day on our beach walks. I would highly recommend this condo to anyone wanting to stay on Fort Myers Beach. Beach location is great! The condo was very clean and it is convenient property staff on site. We saw an abundance of sea life. Washer and dryer are on main level. They are nice, but that is a bit inconvenient. Overall had a good time and enjoyed our stay. Overall, we loved staying here. The view is wonderful and the beach was not very crowded. We have stayed in Destin, FL many times in the past and got sick of the crowds. It was nice not having to battle for a spot next to the water. Even on the 4th of July, it was not very crowded. We saw dolphins every day except for one during our 1 week stay. We saw hundreds of star fish, a few conchs and hermit crabs, and even a sting ray. The water is not as clear as Destin, but it was still nice. The condo is within walking distance to the grocery store, which was a benefit. Not too many restaurants within walking distance, but within a short ride. We never used the pool as we spent our time on the beach. There were also grills and sittings areas outside over looking the beach. Someone was grilling every day. We only had a few criticisms. With limited counter space in the bath rooms, I wish the sink bowls were smaller. We also noticed the blender was not very clean. It was obvious that past tenants did not take the pitcher apart to wash it after they used it. Also, one of the outside chairs seating surface was falling apart These are all minor items and we truly enjoyed our stay in unit 4B5. Our family of three fit fine in this condo and we would stay here again. Hi Mark, Thank you for your review. Have arranged for maintenance to take care of the chairs. As for the blender, I apologize and will see to it that it is cleaned as well, however as you stated, it was a past renter that did not do what they should have and unfortunately the cleaners can not inspect every dish, glass and appliance. Thank you for bringing that to my attention. It was absolutely beautiful there! 3 miglia, appena fuori l'isola è Capt Tony Pesca Express. Ho pescato con loro per anni. Grande barca, equipaggi e una giornata di divertimento ..... e ho sempre portare il pesce a casa per la griglia. Amo il gelato della barca è a 10 minuti, appena fuori l'isola. Se vi piace il gelato, vi piacerà Love Boat.